yesterday, in the name of a photo shoot that marlo and i are having with this lady next week while we're visiting family in north carolina, i purchased us both a pair of high-top chuck taylor's. and while we're not chuck taylor novices, this is the first time our match-matchy style was absolutely intentional. i just figure, if you can't beat 'em, you might as well join 'em and look damn cute in the process. i am officially taking the whole mini-me concept to an entirely new (read: disgustingly obnoxious yet oh so necessary) level. 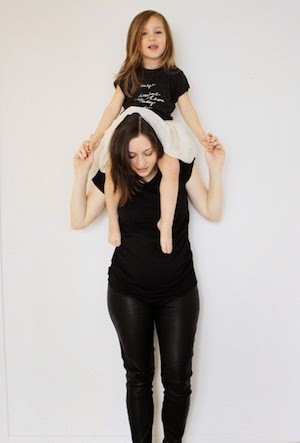 can you please do a julie + rio outfit post for your next guest post? please. O.m.g can't wait to see these pics! Adorable!